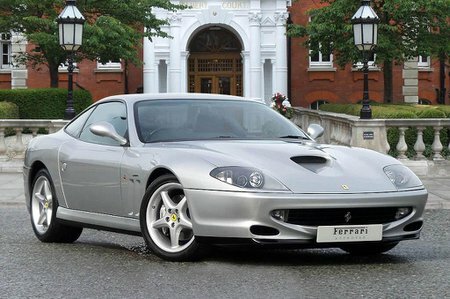 What's the used Ferrari 550 coupe like? If you were unsure about the definition of a Grand Tourer, you'd only need to look at the 550 to instantly understand - a front-engined, rear-wheel-driven V12 powerhouse with a Ferrari badge on the front. Granted, this isn't Ferrari's sharpest-handling car. It has massive ability, but lacks the effortless control of a 360 if you try to push on down a twisty road. However, that isn't the point of a GT. Cruising ability is the key factor here, and that's where the 550 excels. The ride is absorbent over most surfaces, and although there's a bit of tyre noise at speed, refinement is excellent. The cabin is beautifully made and gives a feeling of luxury worthy of a Ferrari GT. There's also a huge list of standard equipment, but then again, for this sort of money, there should be.